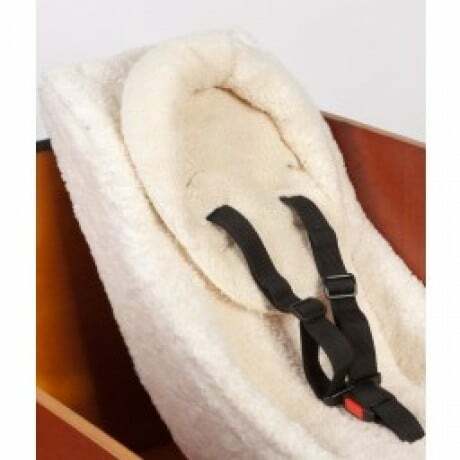 The head support pillow is an important addition for the baby seat, if you want to take a young baby in the Babboe. We advise you not to take your baby in the Babboe, if he or she is less than 2 months old. The head support pillow stabilizes the head and neck and absorbs unexpected movements. It is only available in a cream colour.